This Friday, our Football Team, Cheerleaders and Band will be traveling to Dalton High School for our Friday Night Football Game. Because this is a long trip and because the field is not ideal for performing our show, we will be utilizing a Pep Band Format. We are planning on taking around 90 students to support the team and cheerleaders and will allow the students who do not attend time to stay on top of homework and class assignments before a busy weekend…. Thank you to all who attended the Parent Meeting on July 24th. Mr. Esserwein presented some important information, and your SBBA Board Members described volunteer needs for the various departments. 2nd Highest Score of the day in both Percussion and Guard. Awards for High Visual Performance, High Music Performance and High General Effect Scores among all competing bands. And for the second straight competition, the BOG earns the GRAND CHAMPIONSHIP AWARD. Congratulations to all the staff, parents and especially students for their hard work so far this year. This was a very good lineup of bands, and to earn all of these awards speaks volumes for us about what these kids can do. We are excited to continue to improve, and hope to see all of our family and friends at future shows! Leadership and the Grand Championship Trophy! As we approach the beginning of the school year, we would like to welcome each of you to the Sprayberry High School Band Program. We are extremely excited for the upcoming year and are looking forward to the growth of our students as musicians and as people. To our Marching Band Students...congratulations on an outstanding first two weeks of rehearsals. It is hard to believe how much we were able to accomplish in such a short time, but we now have a strong foundation on which we can build a wonderful show that will be enjoyed by so many people. As school starts, keep your drive and desire to be successful, and remember that the end product will be a reflection of the hard work we put in everyday. Keep striving to be at least 1% better every day, and you will be amazed at what we can accomplish by October. To our Marching Band Families...thank you so much for all of your assistance in running such smooth camps. 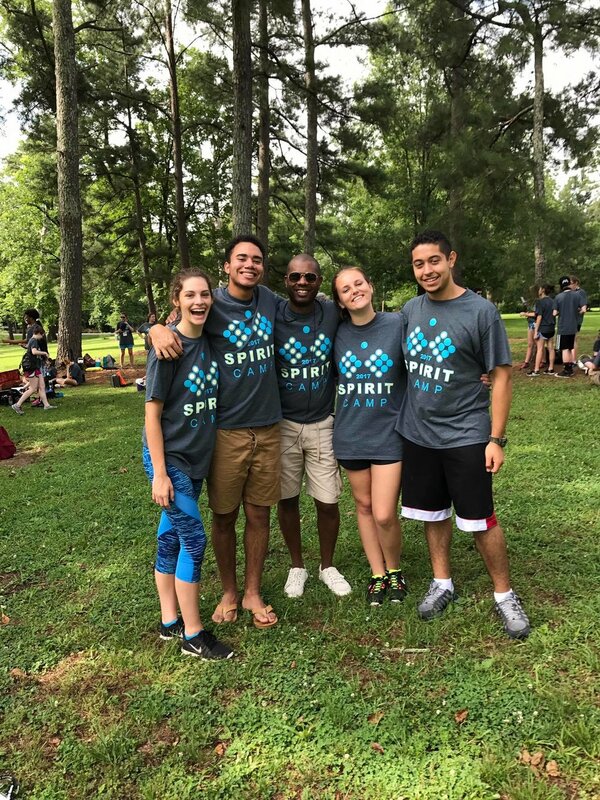 We appreciate everyone who came out and chaperoned, or fit students in uniforms, or helped with equipment, or served food, or did anything else to keep us moving forward. We can't thank you enough for giving your time to help our students, and we hope to see you back with us as we move through the season. As we begin school, please make sure that your students are registered for a band class during both the fall and spring semester. We want to make sure that all of our students have the opportunity to grow and develop across the entire school year. If there is an issue with your student's schedule, please let us know at directors@sprayberryband.com and we will do everything in our power to help try and get the issue resolved. Because we have so many events occurring in our program, it is very important that you stay connected to the various methods of communication we offer. Please visit our website as often as you can, and make sure you are enrolled in "This Week In Band" (TWIB). This is a weekly newsletter that is emailed on Sundays that will give you information about the events that are upcoming. We will update every area of our program when necessary in the TWIB, so please sign up at here to start receiving these weekly updates! Text the following codes (as they are appropriate to your student) to 81010. We will not spam your texts with this service! We will only send information that is important and that will help you plan for upcoming events! In addition, please be sure to follow our Facebook Page at Sprayberry High School Band (Official). We will update this page as well with important information! If you are interested in Jazz Band, we have some exciting news for you! This year, Sprayberry High School will be having Academic Opportunity (AO) twice a week for 45 minutes each session. This is a time during the school day for students to work with teachers in areas they are either interested in or need assistance in. They will occur on Tuesdays and Thursdays between first and second period. We have decided to offer Jazz Band as a "class" during this AO time. Essentially, students who are interested will sign up on Monday and Tuesday in homeroom and will placed in the Jazz AO with Mr. Esserwein. We will then be able to study and perform jazz for two 45 minutes sessions each week. This will allow us to start jazz earlier and to have more chances to perform. If you are interested, please sign up when offered the opportunity during homeroom next week. If you have any questions, please contact Mr. Esserwein at shsbanddirector@gmail.com. Thank you for being a part of the Sprayberry Band Family. We are very excited for the new year and can't wait to see all of our Concert Only students starting on Monday. Have a GREAT weekend!